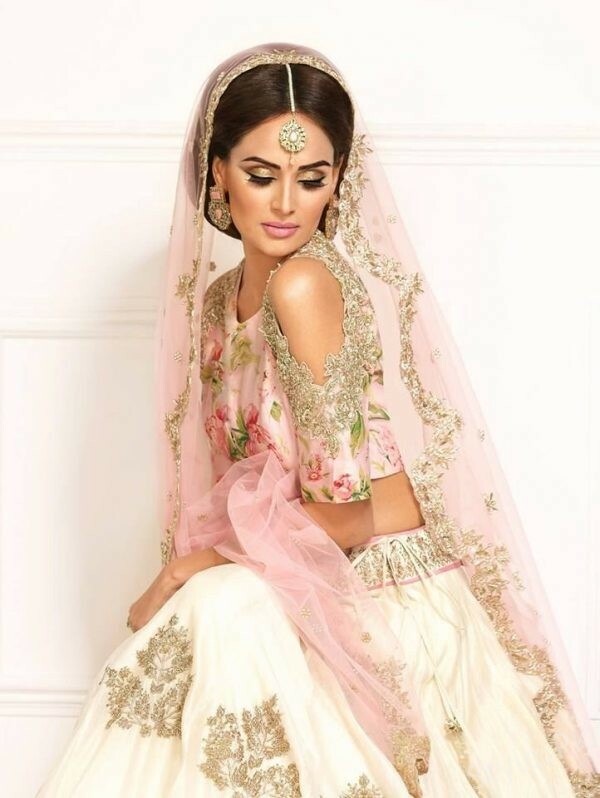 Mehreen Syed is Pakistan’s supermodel. 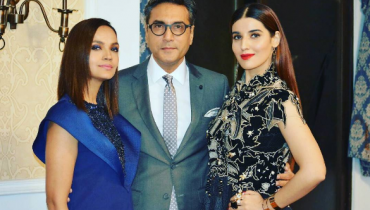 She is founder and CEO of International Fashion Academy Pakistan. She was born on 2 August, 1982. 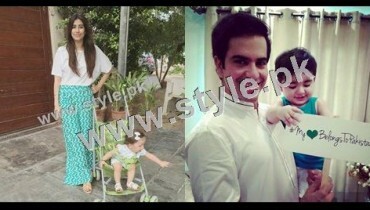 She won the title of Model of The Year in Lux Style Awards 2013. She is the first model to appear in Middle East Fashion Magazine Alamra. She started her modeling career at a very young age and appeared not only in local Magazine but also in international magazines. 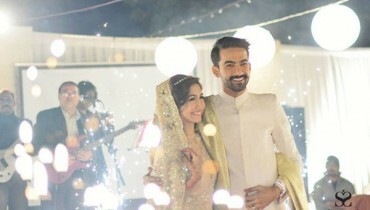 Mehreen Syed has also been part of many Musical Videos of singers like Raheem Shah, Junaid Khan and Badnaam. 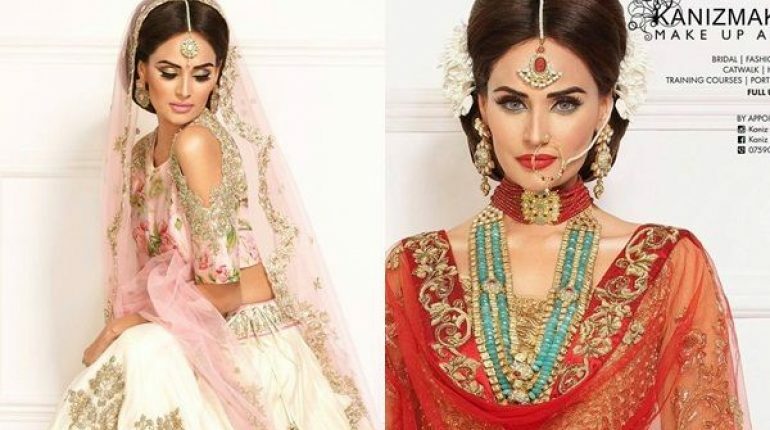 Recently, Mehreen Syed had photoshoot for Kaniz Ali Makeup. 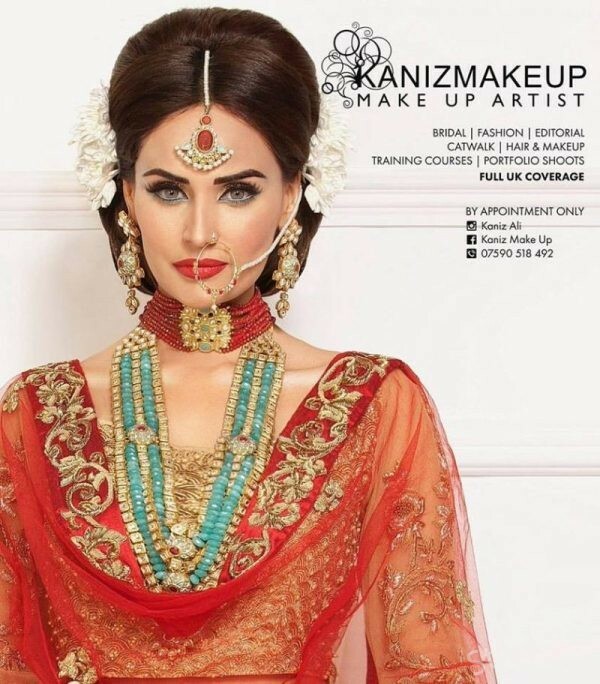 Kaniz Ali is a makeup artist in London. The artist featured Super Model Mehreen Syed in its Spring Campaign 2017. 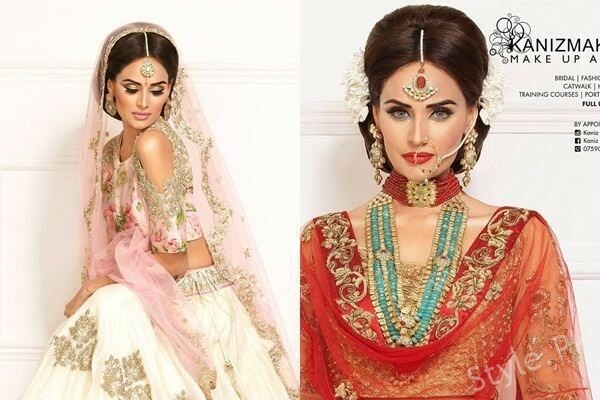 Here we have Mehreen Syed’s Photoshoot for Kaniz Ali Makeup. Have a look. 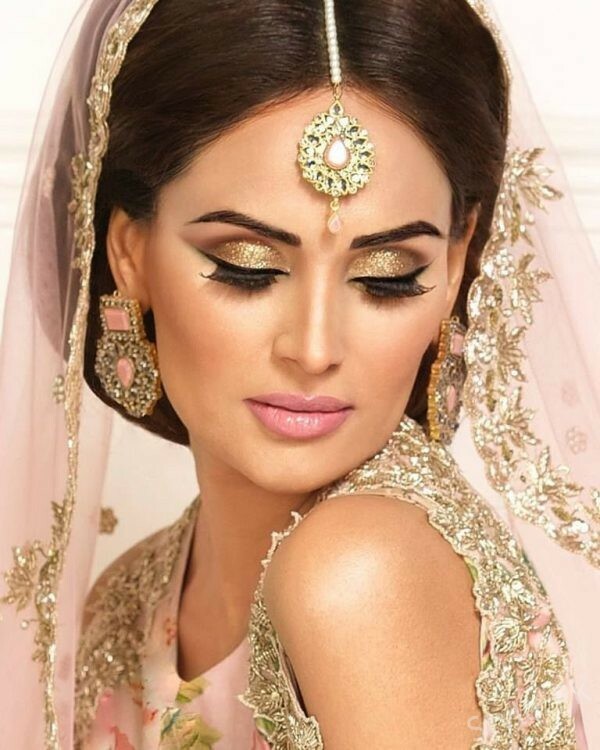 Combination of rosy pink lipstick with shimmery golden eyes shades is making her look stunning. Big Jhumkas are again back.